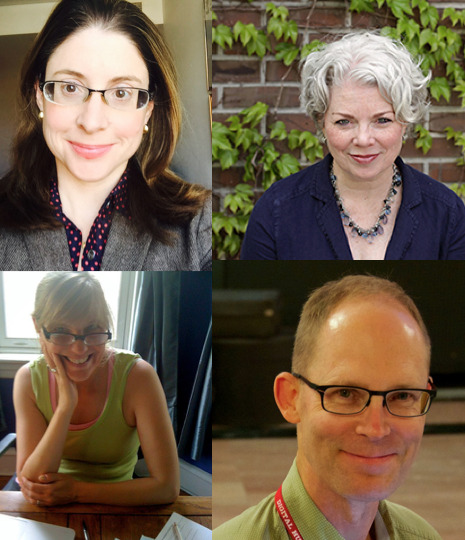 Several English faculty members have won distinguished university teaching awards this year. Congratulations to our wonderful teachers! Emily Steiner won the Lindback Award for Distinguished Teaching, one of Penn's three university-wide teaching awards, and Marcia Ferguson won another of the three: the Provost's Award for Teaching Excellence by Non-Standing Faculty. Jim English won the Ira H. Abrams Memorial Award for Distinguished Teaching, the highest teaching award in the School of Arts & Sciences. Rosemary Malague won the Professional and Liberal Education Award for Distinguished Teaching in Undergraduate and Post-Baccalaureate Programs. Our department's dedication to undergraduate and graduate teaching has been recognized repeatedly by Penn. A full list of faculty teaching awards can be found here.